It was a crown jewel of Sony’s first-party games library - recreating Central London with accuracy unheard of in video games, and providing a “movie like” experience never witnessed before by anyone who has ever picked up a controller. First off, allow me to welcome to you a new series of blog posts called Second Wind PS2 reviews - where I go back in time and review classic games from the bestselling console. Now, I must answer the obvious question - why on Earth is a futurist blogging about old games? Well, I am a geek and this is my blog, so them’s the rules. 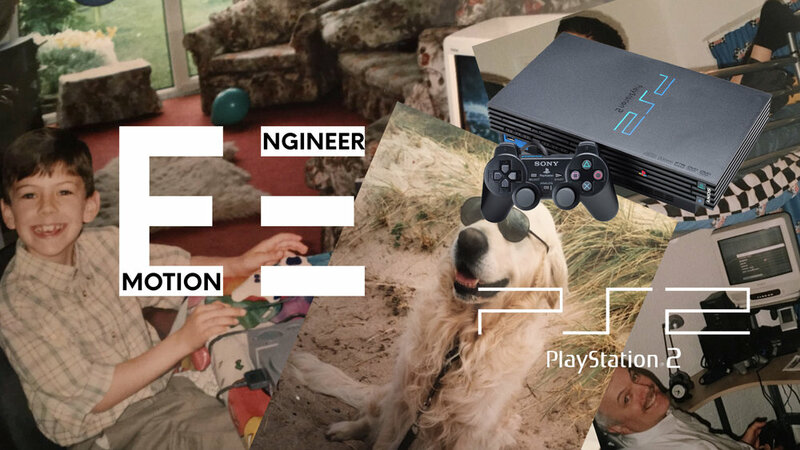 But most importantly, I feel the PS2 had (and is still having) a huge impact on the future of home console gaming. You can see how much I love this machine in my Twitch channel dedicated to the damn thing. And while these games are being completed on a regular basis by myself, it makes sense to complete the content loop and review them. Plus, I was inspired by 16 Bit Dad’s regular (and awesome) reviews! If you like the Guy Ritchie-style flicks of this world, you will feel right at home with this cockney classic - give or take a visual presentation that hasn’t aged gracefully and somewhat frustrating gameplay. Didn’t get the chance to play this game way back in 2002? Allow me to catch you up. This a story of two sides, fighting against one common enemy. Ex-con father Mark Hammond, who gave it all up for his family, is put through a trial by fire after his wife is killed and son is kidnapped. Criminal kingpin Charlie Jolson uses him as a pawn to take on the many gangs of Central London. So far, a generic story of criminal underworld vengeance. But the interesting turn comes in the second half, when you realise it’s the same story told from two perspectives - the latter being that of Flying Squad Police Officer DC Frank Carter. It makes for an interesting dynamic to the tale, told engagingly through motion captured animation unlike anything at the time, and leads to longevity beyond what many would expect from a single-player story of its kind. But this isn’t the primary focus of what was an incredibly ambitious project. That would be the faithful recreation of London. Don’t get me wrong - being created in 2002, it’s not aged overly well. Upon closer inspection, you start to note the repetition of WHSmiths, Woolworths, and Boots stores (forever teasing me to pick up a magazine, pick’n’mix and a Chicken Triple meal deal), and you notice the general… dull greyness of the map (given its London, this could be a design choice). However, none of this detracts from the sense of scale, which you may not feel in the immediate linearity of the story, but can truly appreciate in free roaming. Unfortunately, this is marred somewhat by underwhelming and frustrating gameplay. The ideas are novel - completely stripping away any UI elements in favour of in-game cues (blood stains on your blazer to show health and indicators to show the intended direction of travel). But in execution, these design choices paired with rather clunky controls do lead to some problems. General combat and movement controls do not have any range of sensitivity - meaning puzzles that require millimetre accuracy of movement around laser-based security systems can quickly grow to be infuriating. And the driving… Oh boy, the driving. Blend the busy inner-city traffic of London during rush hour with annoyingly realistic handling and damage, you have yourself some vehicular segments that leave you shouting at the screen. It’s unfortunate because, with the attention to detail in realistic car modeling and the idea of causing havoc in Britain’s capital, it had all the makings of a fun experience. But from the twitchy controls to the indicators (the only UI element to show you where you’re going) being easily destroyed through a rear collision, it can quickly turn into a cacophonous cocktail of pain. However, these annoyances fade away somewhat when you recognise the scope of this achievement and (more important in a retro game review), just how spectacular a rebirth would be. I put this on top of my list of 10 dead Playstation game franchises that Sony should revive for a reason. Aside from a couple of other PS2 classics like SOCOM, it’s one of the titles that receive a lion share of prospective conversation. Fans wish for its return, and during a time where old seems to be the new popular - from simple remakes to complete series revivals, it’s set to be a solid moneymaker (provided Sony actually do it justice with a better control scheme). So, let’s get the other question answered - is it worth going back to? If you have the solid patience to put up with The Getaway’s more difficult elements, it’s an enjoyable cockney romp with a whole load of “before their time” concepts that you can see in games today. Just prepare to get annoyed at the actual “gameplay” part of the game.